Hit the jump to check out those new Crimson Peak images as well as some additional details on the plot of the film. 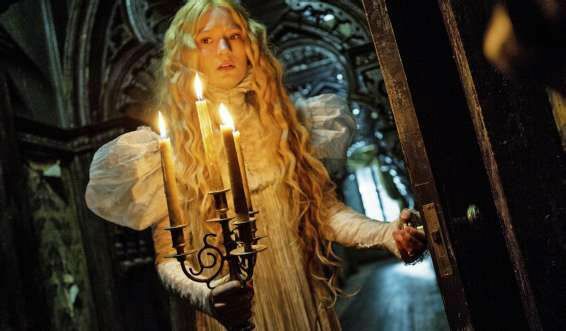 Crimson Peak opens in regular theaters and IMAX on October 16th, and also stars Charlie Hunnam. I never thought I’d say this, but Hiddleston actually isn’t the most eye-catching thing in the images below. Just look at that house! 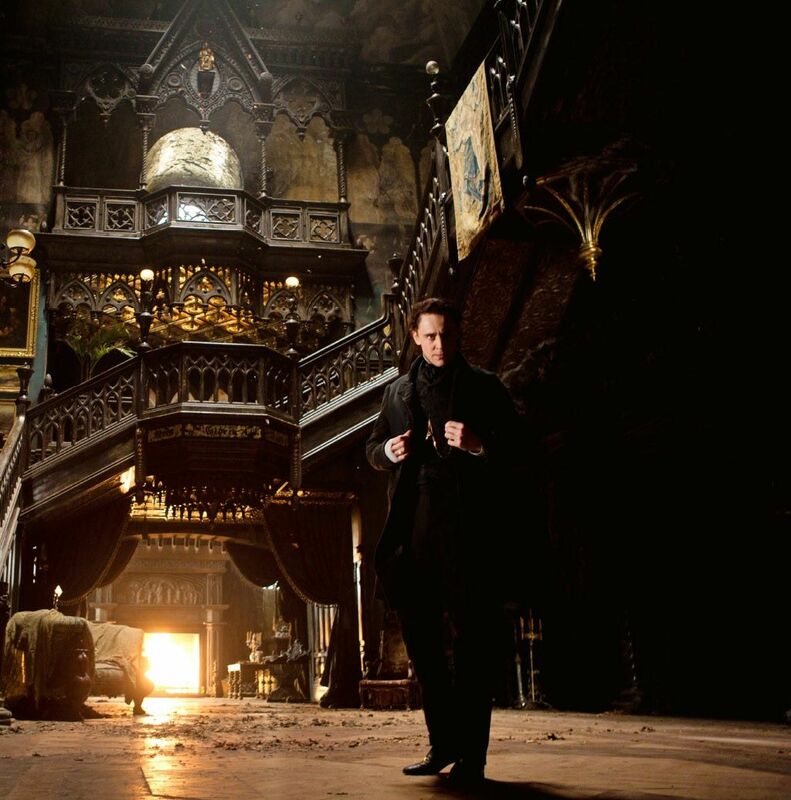 I happened to have been on set as well when Steve got to check it out and the place was downright incredible, but it’s actually even more striking with the fire burning and the appropriate coloring. 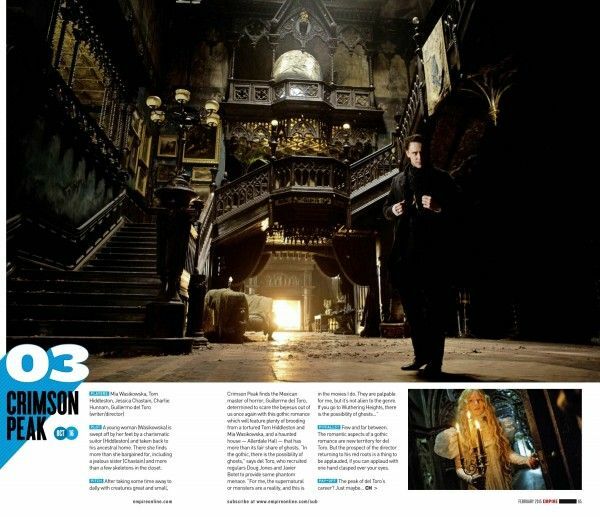 The house really does come alive in these shots, so perhaps Guillermo del Toro really can pull this whole breathing and bleeding thing off.